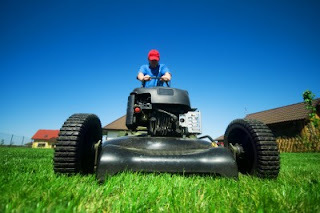 Although it might look like an easy and simple job, cutting grass is not all that simple. As anyone good at the work will tell you the job requires not expertise, but certain skills that a person should posses. This makes the job of cutting grass easier and done in proper order. Usually before one starts cutting grass he/she needs to first put on proper clothing. Most individual are not aware what grass or flying dirt can do to normal clothes. Hence, a person cutting grass should wear proper clothes. The clothes need not be special clothes but rather the simple protection, like goggles to avoid flying blades of grass or stones. Checking the level of gas in the land mower, one should make sure that the gas is enough so it does not stop half-way. It is important that the land mower is full, if it is to ever run out of gas would leave one stranded and not let the individual complete the cutting the grass. Since, you will probably be using the mower you should make sure that you wear ear protection. The ear protection makes sure that the noise does not hurt the ears of the individuals. Cut the grass on the edges first, the rest of the grass will be taken of by the mower; this makes sure that the grass is clean cut from all angles. 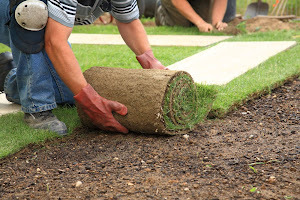 It also is helpful as there are certain areas in which the grass cannot be cut by the mower. These grass in these areas needs to be cut by hand. So, one is cutting the grass, the individual should also make sure that he/she takes out the weeds as he goes. This saves a tip to the individual as he does not need to come again to take out the weeds. When one has a bagging mower, the individual should try to get rid of all the stones, sticks and toys other wise they will clog up the mower. This could cause more hindrance rather then making the process easier. In order to start cutting the individual should start the mower, whether by switch or cord. Then as the mower starts working the individual should also make sure that he cuts in zigzag patterns, to further make sure that the grass is cut properly. The individual should also cut in opposing patterns to prevent graining. Every now and then the individual should stop the mower and check the bag, whether it is full or will be full. This gives a rough estimate as how long it will take to fill the bag. On the other hand, as one cuts the grass, it should not be done as a task but as enjoyment so that the task is done easily and simply.